Environmental, Health and Safety News: Not my last post May 21st - Rapture...CDC zombie apocalypse?? Not my last post May 21st - Rapture...CDC zombie apocalypse?? When I wake up on May 22nd, I will begin the day like everyday. With the thought of how wonderful the world and its life we have been given. And that in an instant, it can be gone. It is why we should always treat each other and each day as it could be our last. Because one day, you will be right. The world will be ending due the following reason: The Rapture. Notification Service believe his revised date should be taken very seriously. And U.S. Centers for Disease Control Advises: Prepare for Zombie Apocalypse???? Sure this is funny... and in bad taste. But at the end an important message about being prepared for a mild emergency. So what do you need to do before zombies…or hurricanes or pandemics for example, actually happen? First of all, you should have an emergency kit in your house. 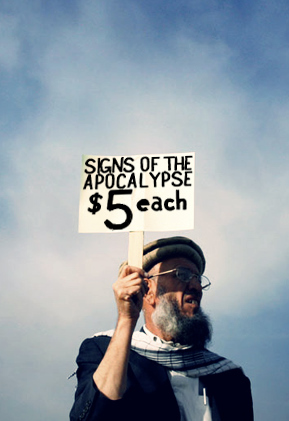 This includes things like water, food, and other supplies to get you through the first couple of days before you can locate a zombie-free refugee camp (or in the event of a natural disaster, it will buy you some time until you are able to make your way to an evacuation shelter or utility lines are restored). On the CDC website are a few items you should include in your kit, for a full list visit the CDC Emergency page.